Just Jingle: Happy Thanksgiving and Anything Goes! ***This is my second post for today! To check out Day 2 of the Winnie & Walter Premiere, be sure to click HERE or scroll down! Happy Wednesday, folks! We have an ANYTHING GOES challenge for you today over on the Simon Says Stamp Wednesday Challenge blog! 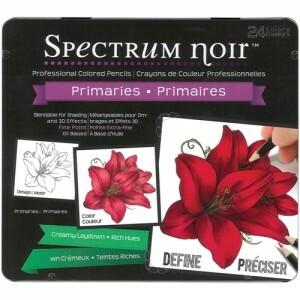 The design team is featuring Spectrum Noir products this week! If you have them we would LOVE to see you use them, but if not, feel free to use whatever you want for this challenge. I super duper LOVE Spectrum Noir markers and colored pencils, so I was excited to have an excuse to pull them out and play! 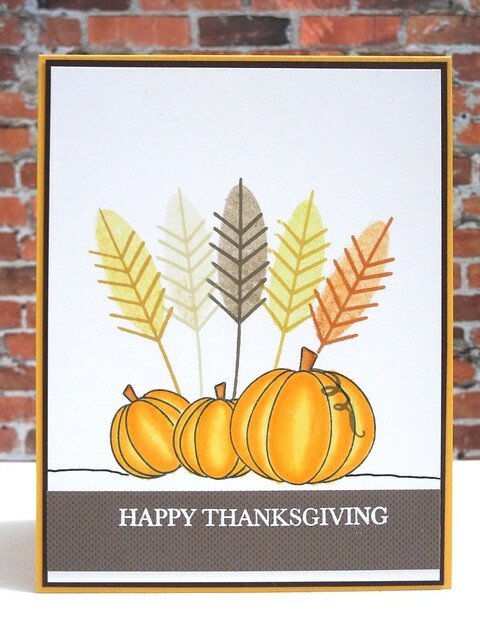 I created a pretty Thankgiving card using the Simon Says Stamp Feast of Thanksgiving stamp set. I love this stamp set so much! I used a bit of masking magic to layer my elements before coloring them and I really like how it all came together. Now it's your turn! Create something...ANYTHING....and link it up to the Simon Says Stamp Wednesday Challenge blog for your chance to win a $50 Gift Voucher to the Simon Says Stamp store! Your project MUST be new and you can enter up to FIVE times! Happy Crafting, folks! In addition to the usual Simon Says Stamp prize, Spectrum Noir is giving away TWO tins of their totally awesome colored pencils to one lucky winner!!! Dude. I have them. You want them. Trust me on this one. They are the BEST!!! For reals. I had Prismacolors and I use these way more often now. Love them! Go. Enter. Win. Glad we had this talk. Such a pretty design, Jennifer! Great coloring with the pencils! Great to see something geared to Thanksgiving. Wonderful card. Brilliant coloring! I love how your pumpkins SHINE!! 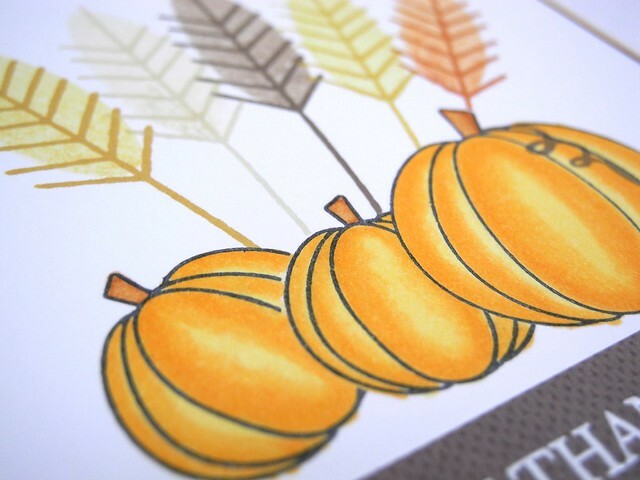 A fabulous card Jennifer, I love your design and gorgeous colouring of the lovely pumpkins!! Smile Jingles, you did an awesome job on this card. Have not tried the Spectrum Noir pens yet, they look like fun! A pretty design, Jennifer!!! Beautiful colouring! All the cards you are making lately have been absolutely amazing. You are so gifted. Very festive and harvesty! I love the shading you've achieved on the pumpkins! Beautiful card Jennifer! Such a fab design!